I think that coat season might be here to stay! 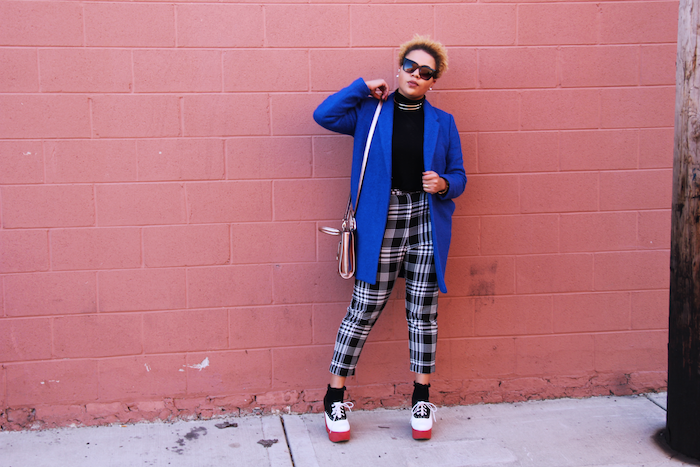 This bold blue statement coat is definitely one of my faves and usually the first one I dig out of my fall/winter wardrobe! Your coat can ultimately make your look in the colder seasons, so I love how much this one stands out. 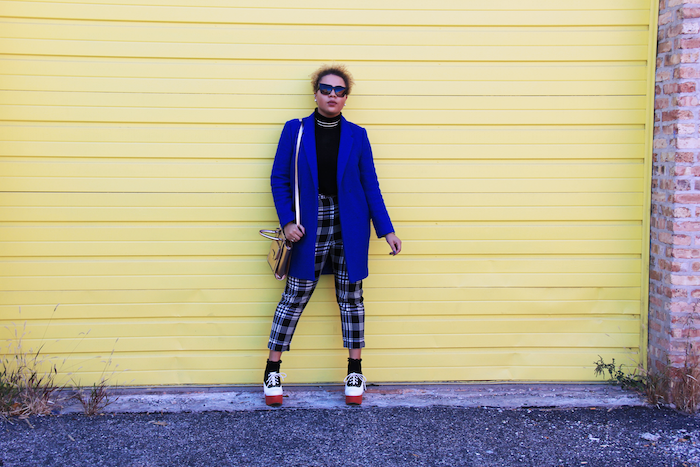 I definitely plan to invest in a couple more statement coats…I’d really love to add a bright orange or red one to my closet! The bottom half of my outfit are actually great pick ups from…can you guess? The Urban Outfitters Surplus store! I almost never fail to score great finds there. 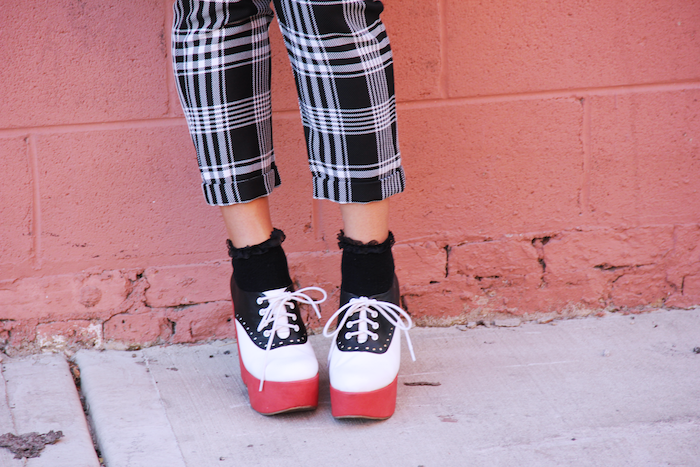 I got these awesome plaid pants for only $10 and one of my fave pairs of Jeffery Campbell platforms for only $20. Trust me, I couldn’t believe the price when I saw it either! What’s the best shopping deal that you’ve gotten recently? Share in the comments! Best shopping deal I've gotten recently? 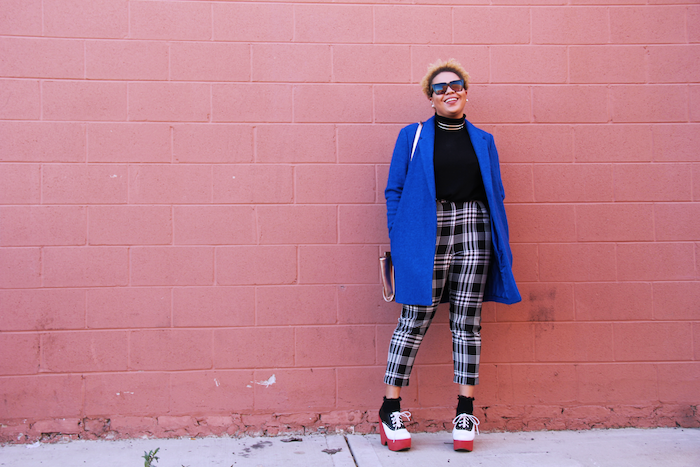 A bright blue blazer that's super super soft and exactly the statement I've been looking for. Got it from threadUP for $15, I think it was originally in the 50-60 range. So so excited about it. These pants are amazing! I love a bold pant so much. You never cease to amaze me with your unique sense of style. YOU GO GIRL!!! Oh, those shoes! and only $20? !